Adjustable fork widths. Just loosen and reset front and rear adjusting bolts. One truck does the work of two. Handles loads up to 5500 lbs. 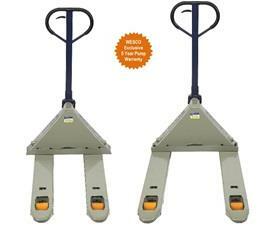 Features 3"W. polyurethane load wheels. Adjustable fork connecting rods. Overload bypass valve. Rubber coated handle. Entry and exit rollers. 7.5" raised height. 3" lowered height. 3" load wheels and 8" steering wheels -- both mold-on polyurethane. FOB Shipping Point. 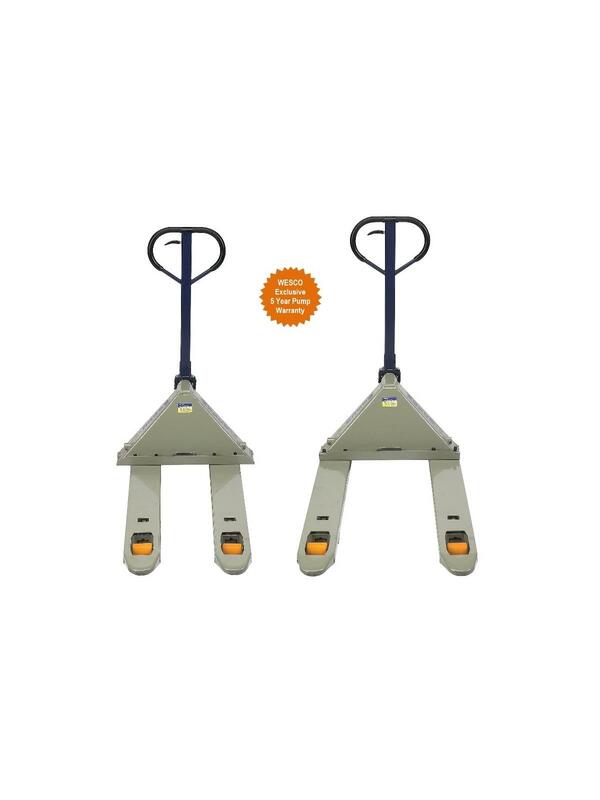 Click here to see more Pallet Lifts !